Despite its loss to No. 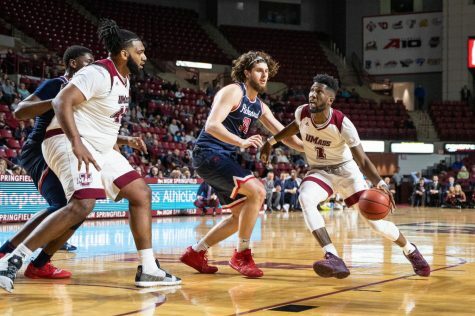 24 Temple on Wednesday night at the Mullins Center, the Massachusetts men’s basketball team made strides in the right direction. 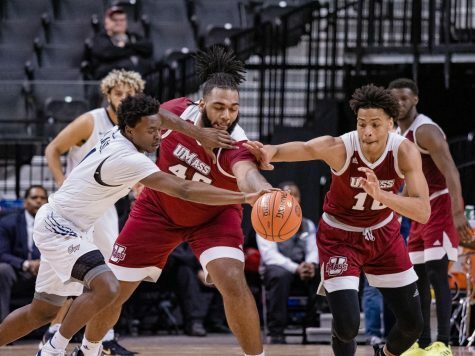 In its second to last game of the regular season, UMass nearly overthrew a top-tier Atlantic 10 team, something which it failed to come close to doing in its two previous chances this year. On Senior Night, the Minutemen (15-13, 7-8 A-10) battled the Owls (23-6, 13-2 A-10) through regulation and forced overtime before falling, 73-67. 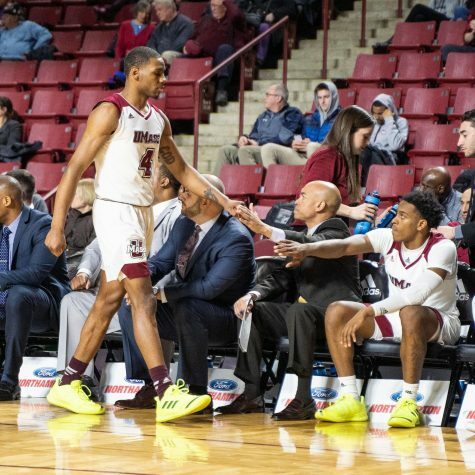 While the game was up for grabs, especially late in the second half, UMass coach Derek Kellogg recognized that Temple is the type of team which will find ways to exploit mistakes and come out with wins. “They’re a borderline top 25 team that’s an NCAA tournament-level team, one or two in the conference, very well-schooled, well-coached and very mature, as we saw in overtime when they outplayed us and took advantage of some things,” Kellogg said. 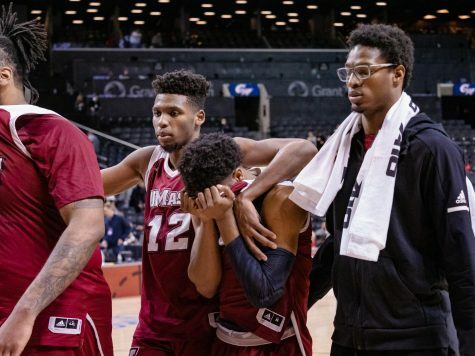 Though the loss was heartbreaking, the final result was a far cry from UMass’ previous two meetings with conference elite teams Xavier and Richmond, which stand with the Owls as the only programs in the A-10 with double-digit conference wins and 20-plus wins overall coming into Wednesday. The difference for the Minutemen against Temple was their ability to answer potential runs by the Owls and come up with key defensive stops when needed. 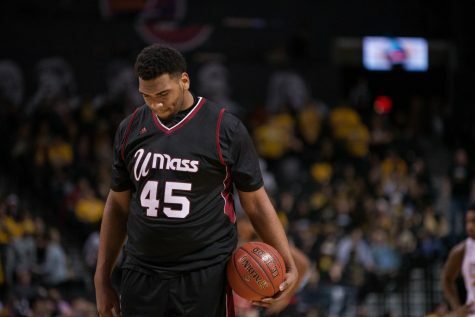 UMass held Temple to 36.4 percent shooting from the field, compared to 48.1 percent against No. 23 Xavier and 51.9 percent against Richmond earlier this season. 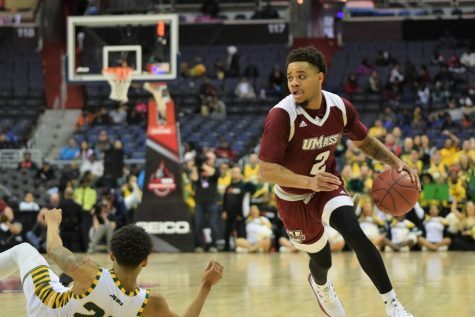 Even with UMass’ strong defensive effort, the Owls still made its shots count down the stretch. “They had a few open looks that came off offensive rebounds. But for the most part, I thought we played a solid defensive game and we were on their 3-point shooters, but they have some good players,” Kellogg said. In only their second contest of the A-10 schedule, the Minutemen were dominated by Xavier (23-6, 14-1 A-10), 79-50, on Jan. 11. 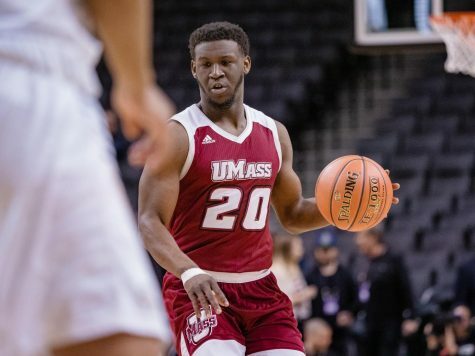 Unlike its performance against Temple, UMass broke down defensively towards the end of the first half, allowing a 21-4 run as the Musketeers took a commanding 35-18 lead into the intermission. While the offense picked up for the Minutemen in the second half, ball movement was an issue as UMass committed 17 turnovers and dished out only six assists for the game, compared to 16 assists and seven turnovers for Xavier. 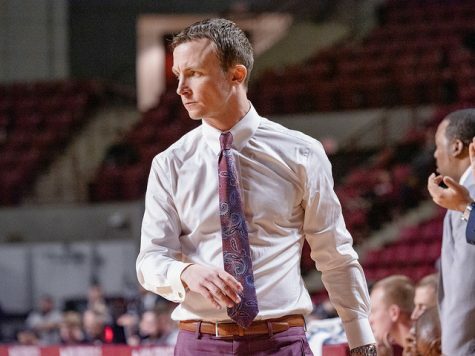 In its next opportunity to take down the cream of the A-10 following back-to-back wins, UMass didn’t fare much better against Richmond (23-7, 12-3 A-10), losing 84-68 on Jan. 22 at the Mullins Center. Once again, the Minutemen allowed a strong offensive half as the Spiders converted eight of their first nine shots coming out of halftime to take a 19-point lead. 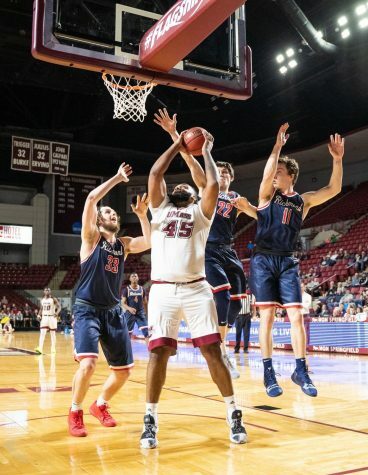 Despite a 30-point effort from Anthony Gurley, UMass couldn’t slow down the Richmond shooting as the Spiders converted 63 percent from the field in the second half. 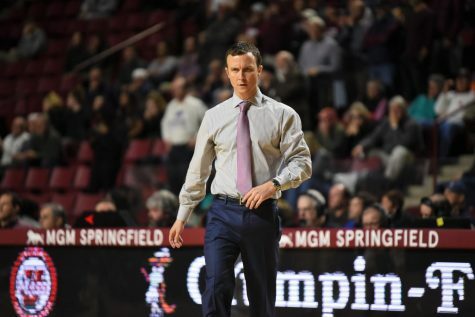 Going forward, the Minutemen will look to take positives from the loss to Temple and get ready to battle for a potential first-round home game in the A-10 Tournament. “I know it hurts, I’m dying inside right now, but the season’s not over and we still have another one on Saturday that we have to have, especially I think if we win, we come back here Tuesday,” Correia said.